Out with the old, and in with the new beauty products! New Year is about new hope, new goals, but firstly recharging your beauty products. Time for a massive clear out and start the year anew. I've found that come the new year, comes a new shift in the weather and I notice a massive change in my skin and not a good change, it becomes dry, parched even and continuously craving moisture, and I find that no matter how much I reach for my water bottle to quench my thirsty skin, it's as though it is never quite enough, leaving me no choice but to change up my skincare accordingly to face off the harsh weathers and luckily with a recurring subscription with MINTD Box I know that my mind, body and soul will be recharged and my beauty cabinet will be better off. 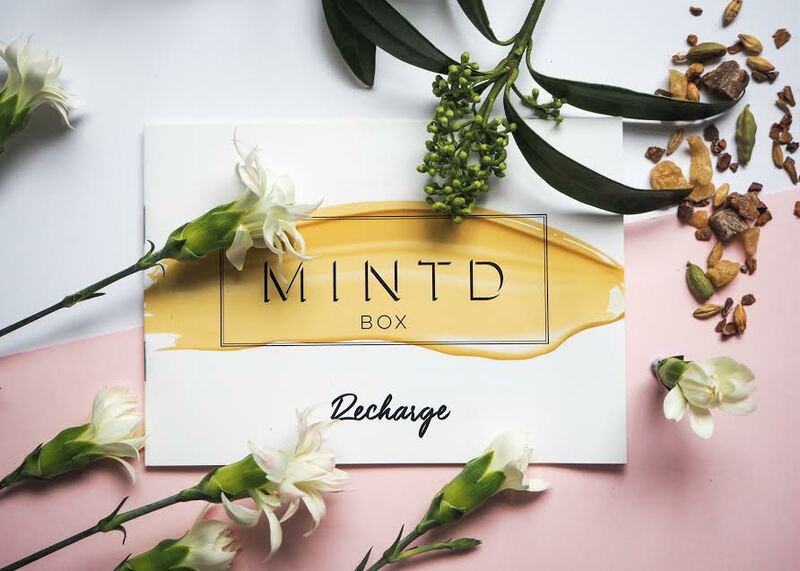 2018 calls for a new bi-monthly service with MINTD, a great gift for those who are new to the subscription box world and those that crave high-end luxury beauty products. 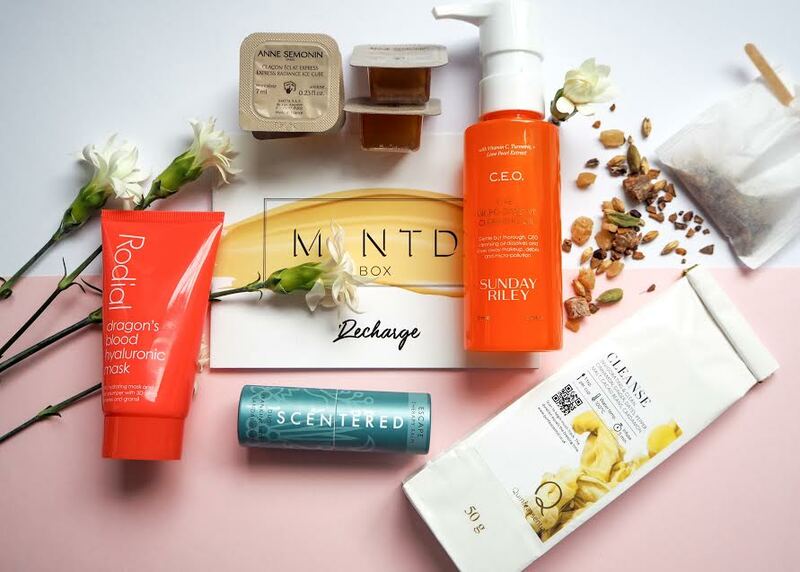 By subscribing with MINTD it is a great way to try before you buy, but with the added bonus that these darling luxury products are all full-sized and be it monthly or now bi-monthly this darling box will only cost you £70 and no matter where you are in the world, they ship worldwide. 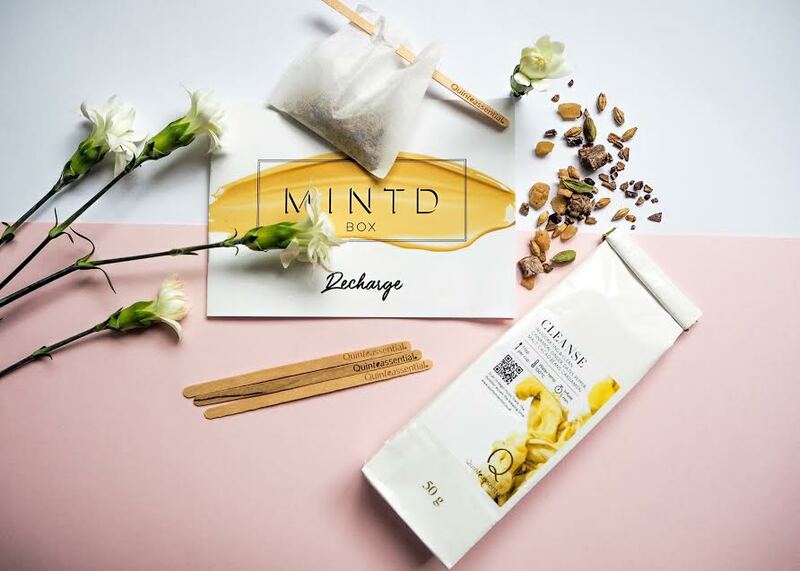 For those that are new to MINTD Box, trust me they do not disappoint and every month they get better and better and these luxury boxes are so well thought out for your needs. This months box is all about recharging your skin and bringing that much-needed hydration with 5 great FULL SIZED products that do not disappoint and tick all the right boxes and delivered right to your doorstep, so there is no excuse to not try it! I am not a tea person, I am a coffee gal! I like to start my day by whizzing up my coffee machine and drinking a latte, gearing me up for the hustle and bustle of the day. But wanting to change it up and start my day a little healthier a little calmer I tucked into a little light cleansing herbal tea by Quinteassential. It was the first product I tried and tested and I am so glad that it was, its exquisite blend of ginger and cardamon, notes of dates and oats and the earthy cacoa beans with a kick of pepper was just the right blend and gave off the right aroma to help me start and uplift my day. It made me feel happier to get up and work my way through, my mind felt more relaxed due to the aroma and it is certainly by no means your standard herbal tea, oh so much more and much more luxurious. 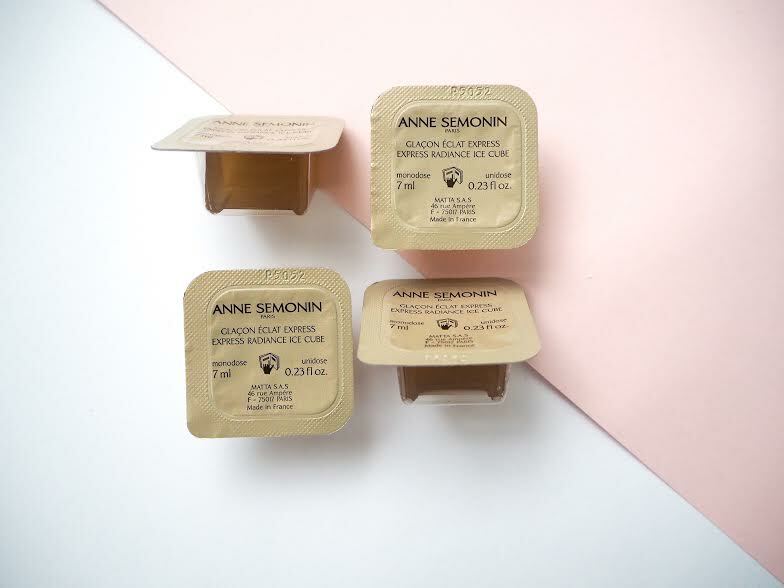 I have tried Anne Semonin products before thanks to the beauty wizards at MINTD, so I was ecstatic to try these express radiance ice cubes. Pop these darling little pots in the freezer for a few hours or leave them in there, and when ready, pop just one out and wrap it in the gauze provided and smooth over the eye area to help revitalise tired eyes. With botanical extracts of wild indigo, this instant boosting radiance miracle is perfect for me and you too, especially as I've had a few sleepless nights, as Leanora has been up most nights due to her eczema playing up and my dark eyes are recharged thanks to the active serum de-puffing and reducing dark circles and wrinkles. Ok now listen, I've only tried a few Sunday Riley products, but I am keen to work my way through them all. 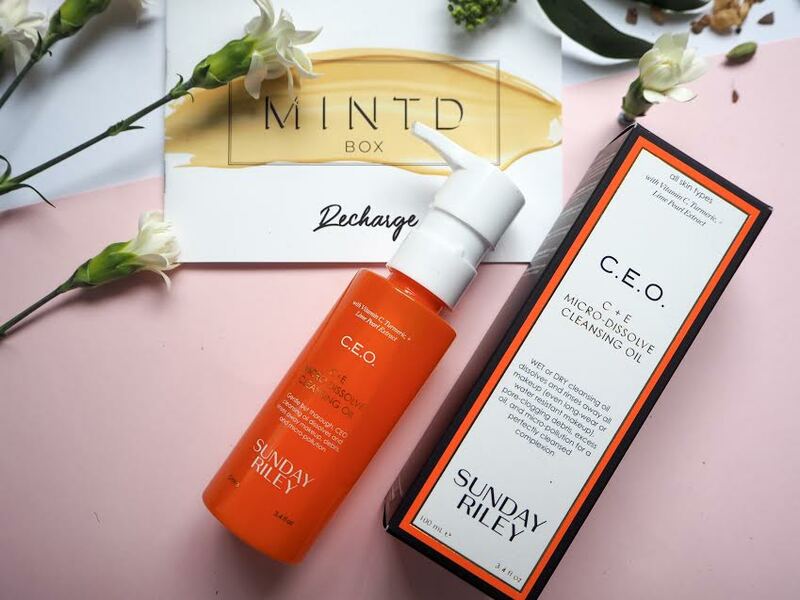 I've been using the Sunday Riley C.E.O C + E micro-dissolve cleansing oil like it is going out of fashion and I must confess I am in love. As soon as I get home and start my nighttime beauty routine, I reach for this cleansing oil, it is ever so light. It can be used to remove makeup, but I always like to have a little extra help for that, but I find that if I've not got too much of heavy makeup applied that this does the trick. A glorious cocktail of gentle white willow bark and lime pearl extracts works to gently refresh the skin, whilst the turmeric and vitamin C provide antioxidant-rich, calming skin support, helping to leave my skin cleansed, I have to say that it is a pleasure to use, plus it smells great and feels great on my sensitive skin too. 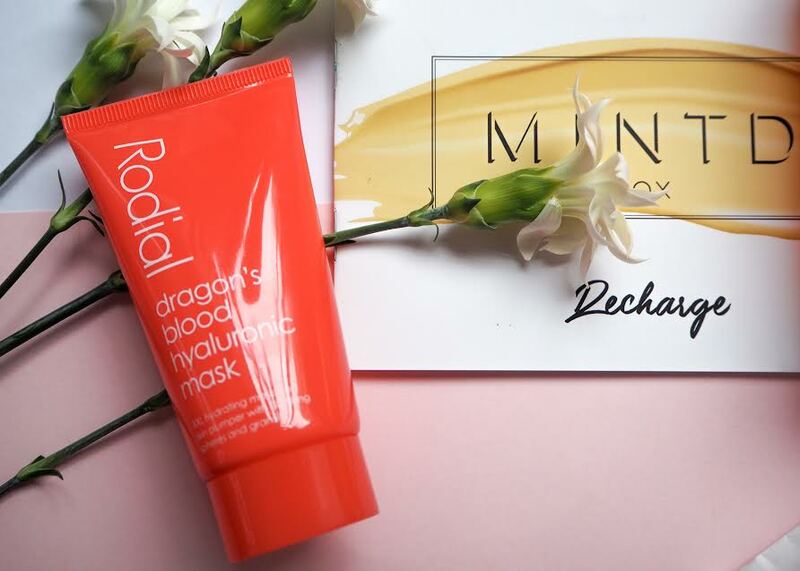 Now this is a high price and this is why I crave my MINTD Box each month, for £70 and 5 amazing full sized products and Rodial's, Dragon Blood Hyaluronic Mask costing £45 on its own and all the great reviews I have heard about this mask, it is no wonder I race to get home for a little r&r. If you are looking for some much needed over night hydration or even on a long haul flight, Rodial and MINTD to have you sorted. Whilst I keep water by my bed of an evening and wake up and cane the bottle, I have found the past few weeks, I am drinking less and less when I have my mask on. This moisturising face mask plumps the appearance of those niggly fine lines and helps even out the skin tone, all whilst maintaining hydration levels, this is truly a perfect companion in the colder months. This is my little night and daytime beauty treat, that I have carried everywhere with me for weeks, anytime I am changing my bag or heading to bed, this is not far from my hands. 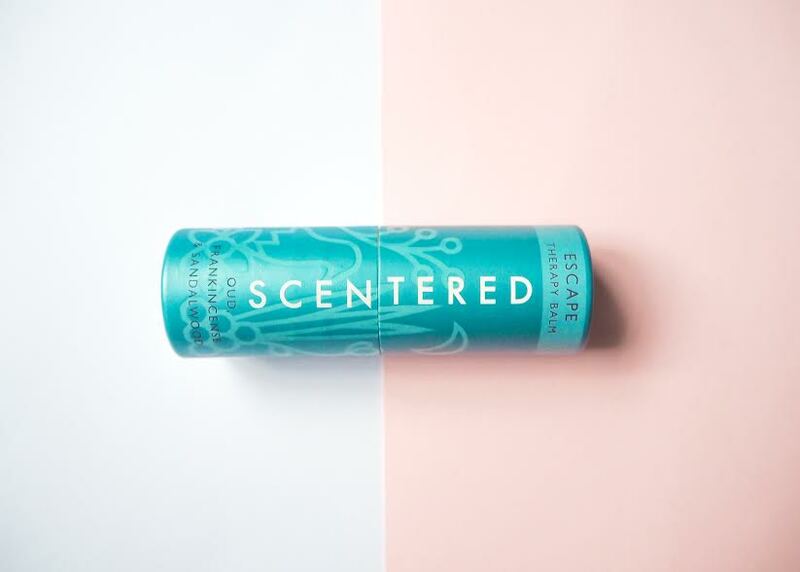 This calming balm from Scentered helps to clear your mind and relax your body, this is perfect after a stressful day or preparing to unwind from a long day. A few applications to your pressure points and inhale deeply will totally recharge your mood. Have you got this months MINTD Box or tried any of these products? How will you be recharging your beauty products this year?